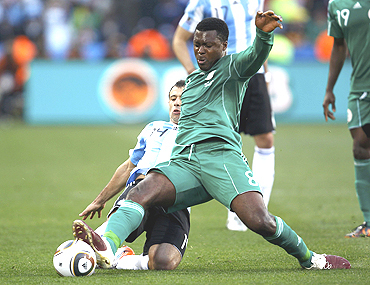 The just-concluded football World Cup was a great showcase for the game. There were many high and low points in the tournament. Here's a look at the heroes and villains who grabbed headlines over the last month. 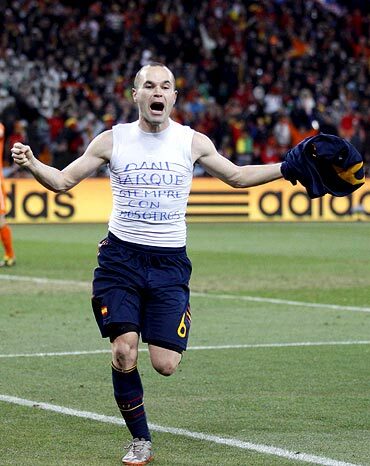 The Spain midfielder will be remembered for his match-wining 116th minute goal in the final against Netherlands but his contribution to Spain's first World Cup triumph was far greater than just that late strike. The tireless midfielder was as busy as ever providing the creative force alongside Xavi in all seven of Spain's matches, scoring two goals and winning three man-of-the-match awards. All the talk ahead of the tournament was about how important having Fernando Torres fit and healthy would be to Spain's chances of a first World Cup but his strike partner has shown him up considerably. Villa scored five of Spain's eight goals in the tournament to make him joint-top scorer alongside Wesley Sneijder, Diego Forlan and Thomas Mueller to put him one shy of Raul as his country's all-time leading marksman. The Dutch playmaker was at the centre of their run to the final, scoring five goals and more than making up for the absence through injury of flying winger Arjen Robben in the early matches. Sneijder's two goals against Brazil were his standout moment as the Dutch produced a second-half fightback to beat the tournament favourites in the quarter-finals. Before the finals Germany were not even considered among the favourites. They were without captain Michael Ballack, midfielders Simon Rolfes, Christian Traesch and first-choice goalkeeper Rene Adler through injury. Loew's striker selection was also questioned when he named Miroslav Klose and Lukas Podolski, who had scored only a handful of goals between them in the Bundesliga last season, but it turned out to be a masterstroke. The duo were unstoppable as, along with Thomas Mueller, they led Germany to eye-catching victories over England and Argentina and a third-place finish. Many questioned New Zealand's right to be at the World Cup after they qualified from a group containing Fiji, New Caledonia and Vanuatu before beating Bahrain in a two-legged playoff but Nelson led them masterfully at the finals. They took a shock lead against holders Italy in the group stage and Nelson was at the centre of a battling display as they held their illustrious opponents to a highly creditable draw. New Zealand finished Group F in third place with three draws and were the only side unbeaten at the tournament. The Brazilian midfielder had a World Cup to forget. 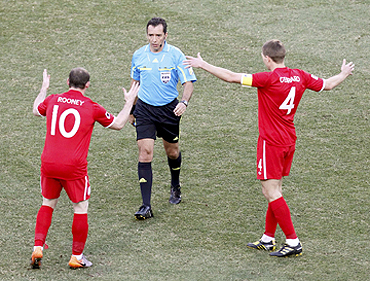 He was sent off after stamping on Arjen Robben in the 73rd minute of the 2-1 defeat by Netherlands in the quarter-finals. He was also substituted early in the draw with Portugal in the group stages to prevent him being sent off after several rash tackles. 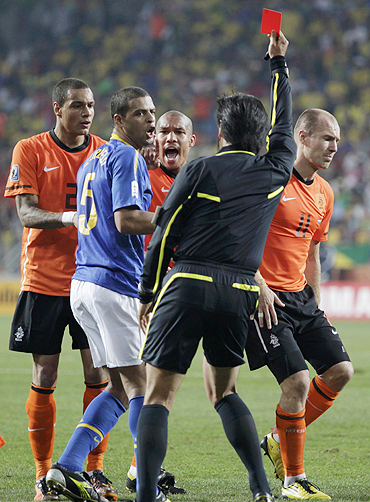 Melo was originally credited with the opening Dutch goal, which would have been the first own-goal by a Brazilian at a World Cup, but it was later awarded to Wesley Sneijder. The Torino-based hospital manager was at the centre of the controversy in Argentina's 3-1 win over Mexico in the second round match at Soccer City. 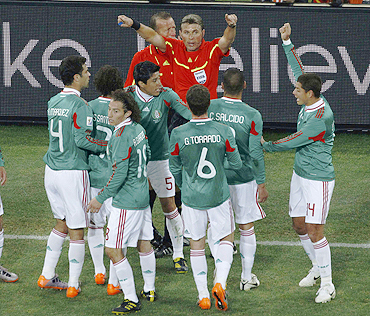 The Italian referee waved away protests from Mexican players after allowing Argentina's first goal, which came against the run of play, with striker Carlos Tevez clearly offside. The 42-year-old clerk from Montevideo will be remembered by England after his failure to award a goal to Frank Lampard in the second-round defeat by Germany. Television replays showed Lampard's effort hit the bar and clearly bounced over the goalline but referee Larrionda and his assistants Pablo Fandino and Mauricio Espinosa failed to award a goal, which would have levelled the scores at 2-2. 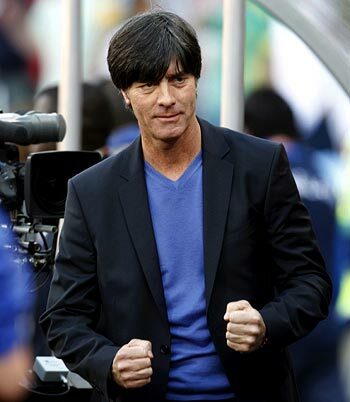 Germany went on to win 4-1. The Nigeria striker's miss against South Korea in their final Group B game was one of the worst at a World Cup. Yakubu somehow skewed his 66th minute shot wide from three metres in front of an empty goal as Nigeria drew 2-2 in their final group match when a win would have put them in the second round. 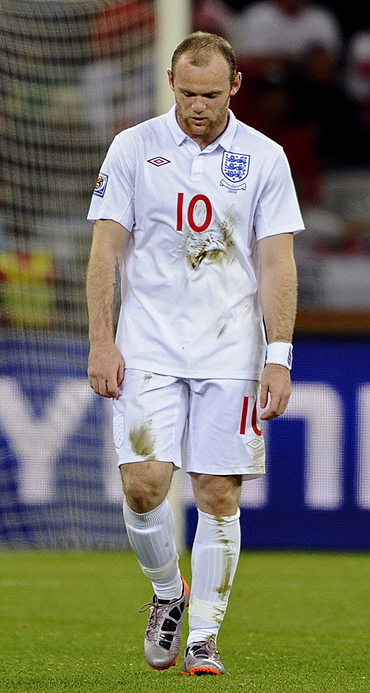 The striker was billed as a possible Golden Boot winner before the tournament and the man to lead England to a first World Cup triumph in 44 years but the striker's limp, goalless performances led to an early England exit in the second round. Makes it on the list as captain of the France squad whose brief appearance at the World Cup was shambolic. 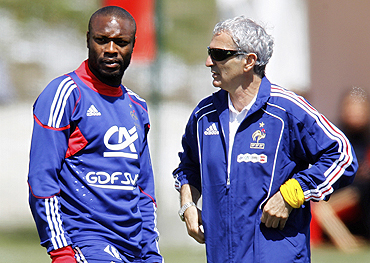 Striker Nicolas Anelka was sent home for abusing coach Raymond Domenech and refusing to apologise which sparked a boycott of training ahead of their final group game against South Africa and the resignation of a federation official. Defeat in their final match against the hosts led to elimination at the group stage and French President Nicolas Sarkozy demanding a wholesale review of French soccer. 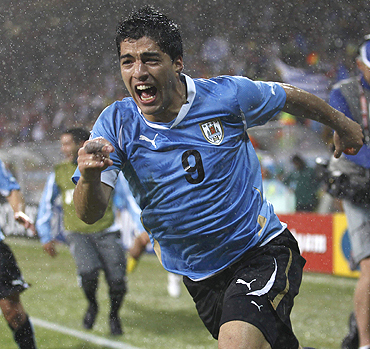 Uruguay striker Luis Suarez can be considered a hero or villain. He was standing on his own goalline when he handled a header from Ghana striker Dominic Adiyiah in the final seconds of extra time in their quarter-final. Suarez was sent off for the offence and was then shown leaping for joy when Ghana striker Asamoah Gyan missed the resulting penalty, the final kick of the game. Uruguay won 4-2 in the penalty shootout.